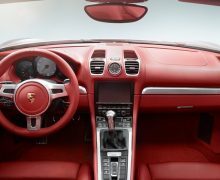 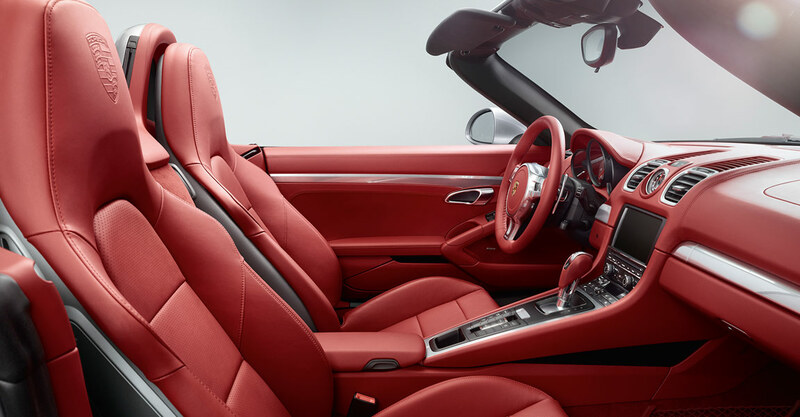 The interior of the new Boxster delivers exactly what the exterior promises—a light, uncluttered, and defined design, existing to fulfill one single aim: the perfect drive. 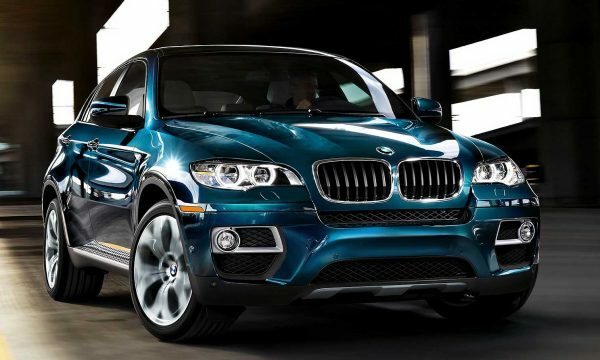 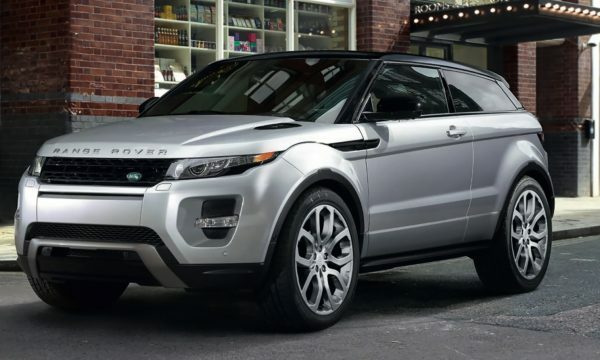 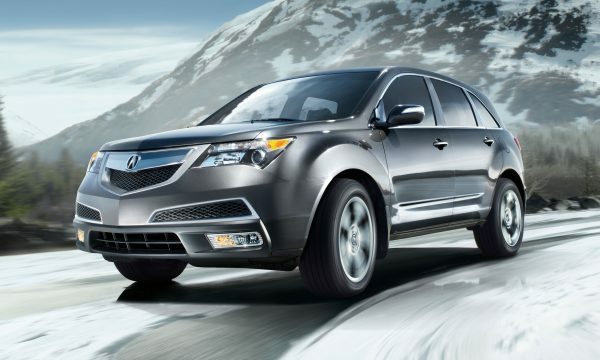 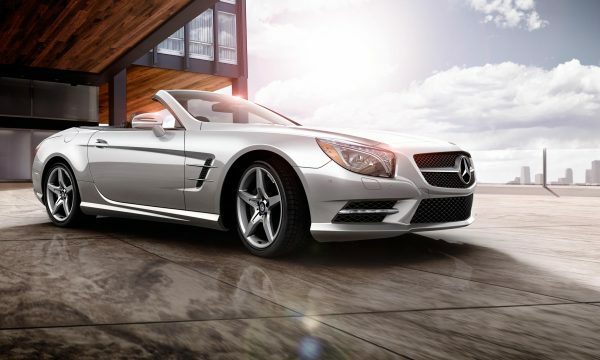 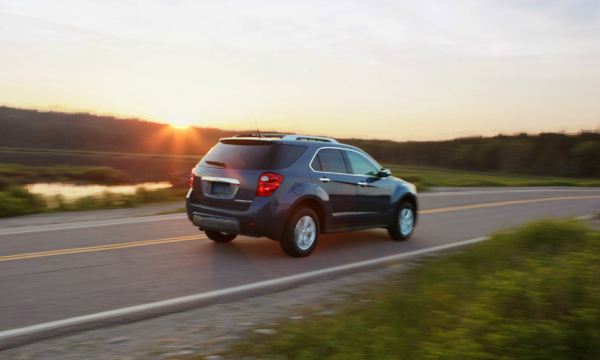 The entire concept—from the power and contour to the driver’s vision—are all drawn in the direction of travel. 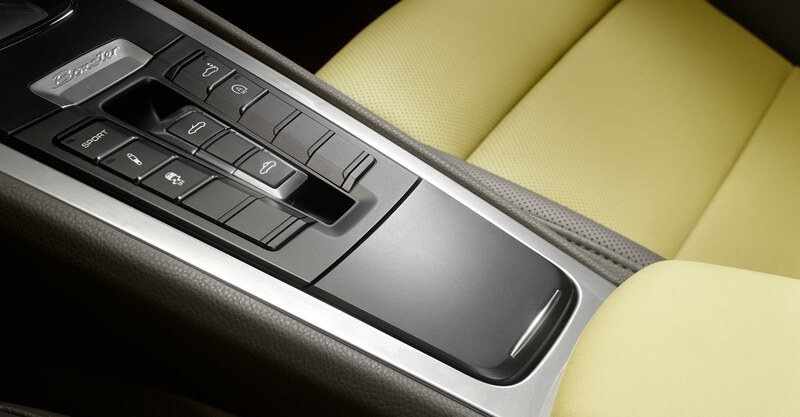 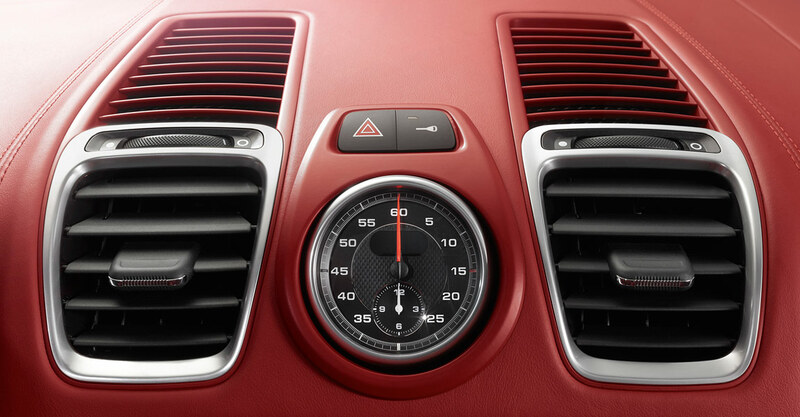 distance from the steering wheel to the shift lever for fast and ergonomic gearshifts. 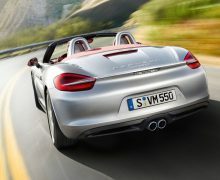 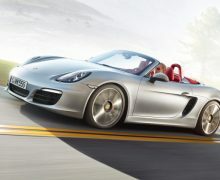 It’s just one of many ways that Porsche transfers its experience from the racetrack to the road. 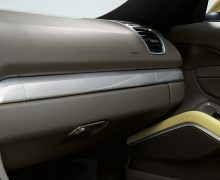 The door styling is similarly dynamic. 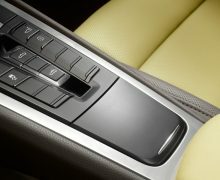 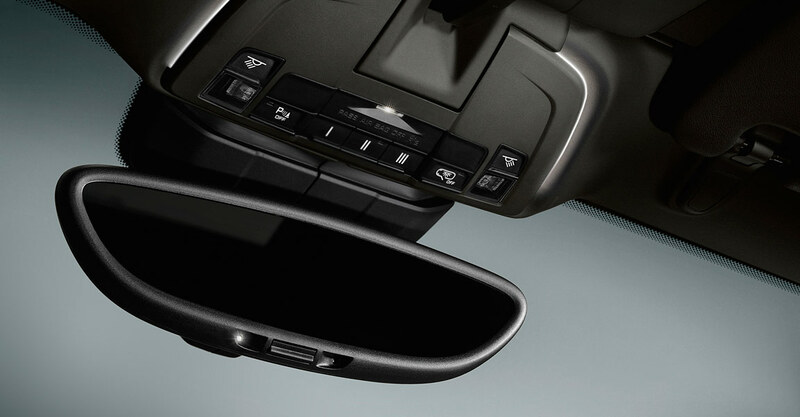 The door pulls mirror the lines of the center console and blend seamlessly into the overall design. 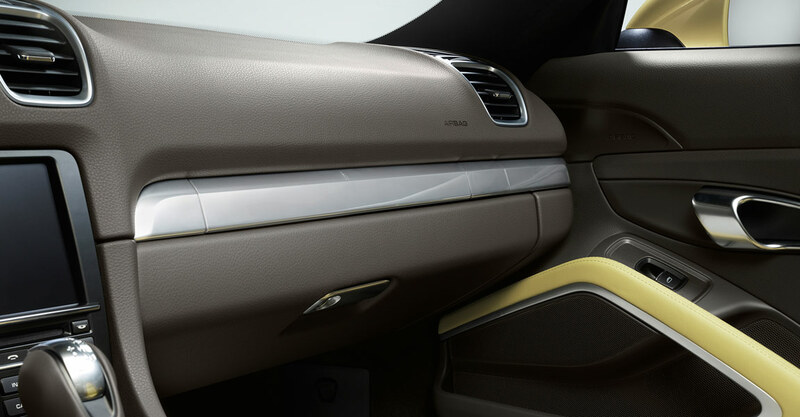 The door storage compartments are sweeping and practical. 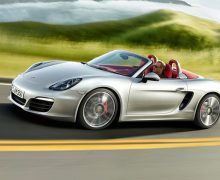 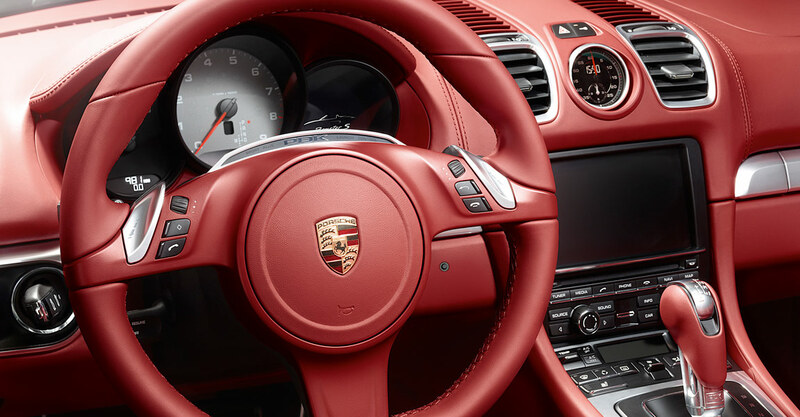 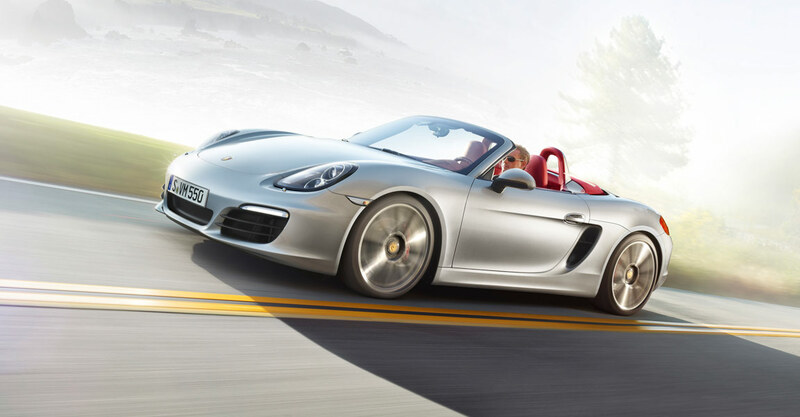 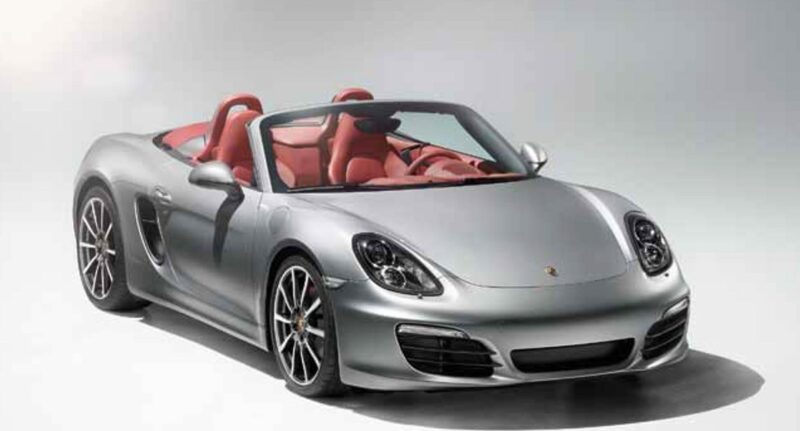 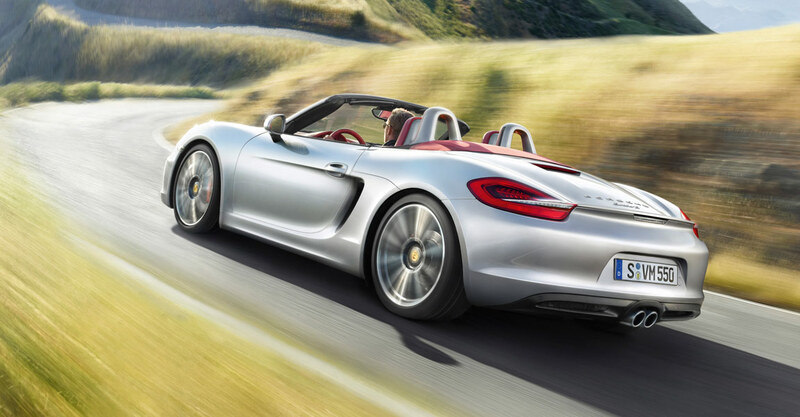 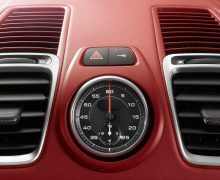 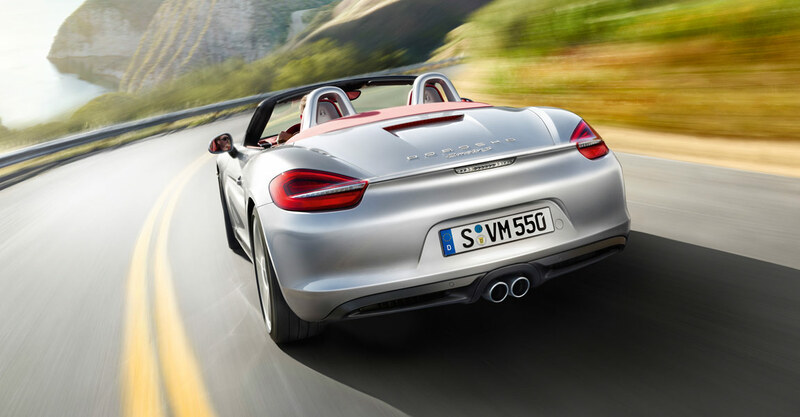 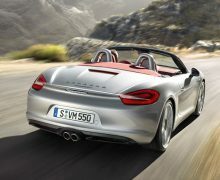 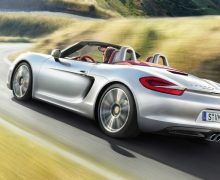 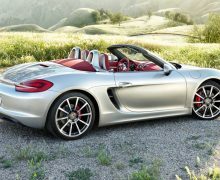 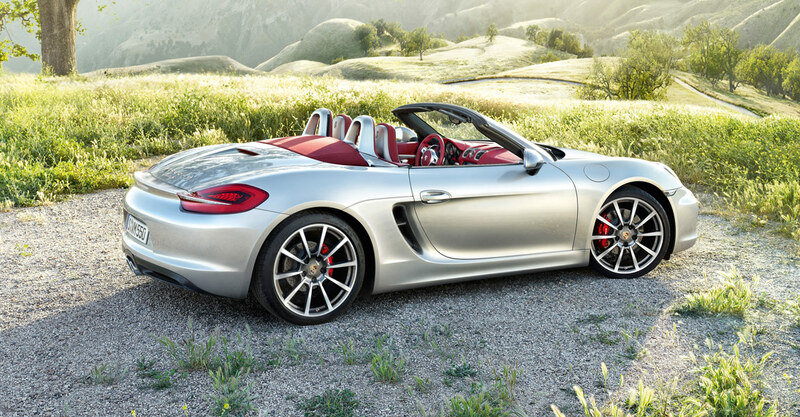 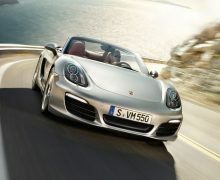 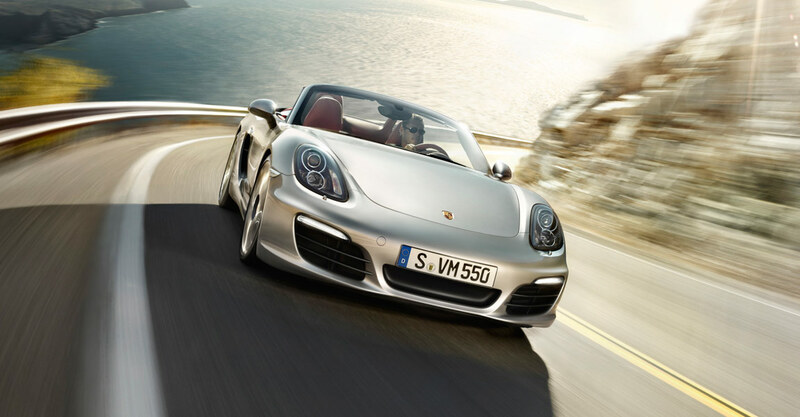 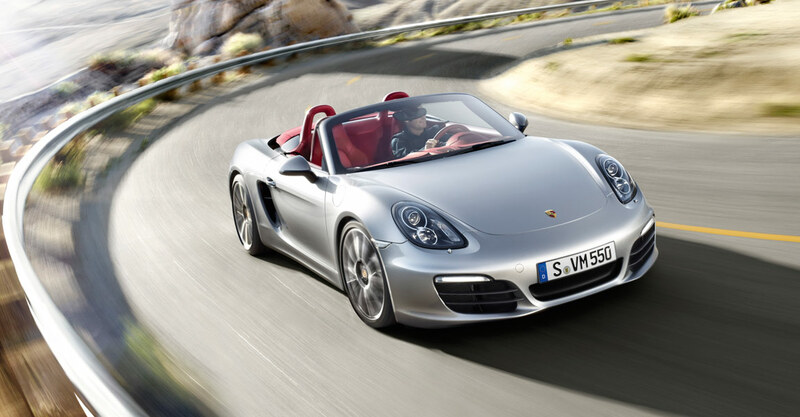 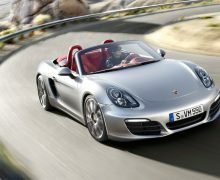 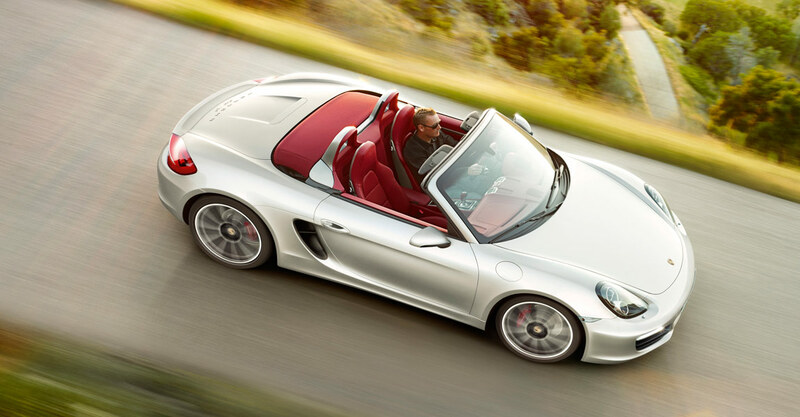 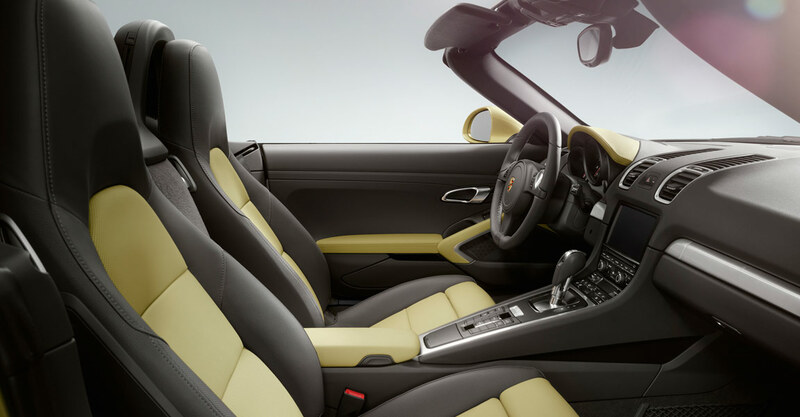 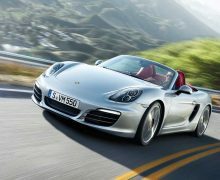 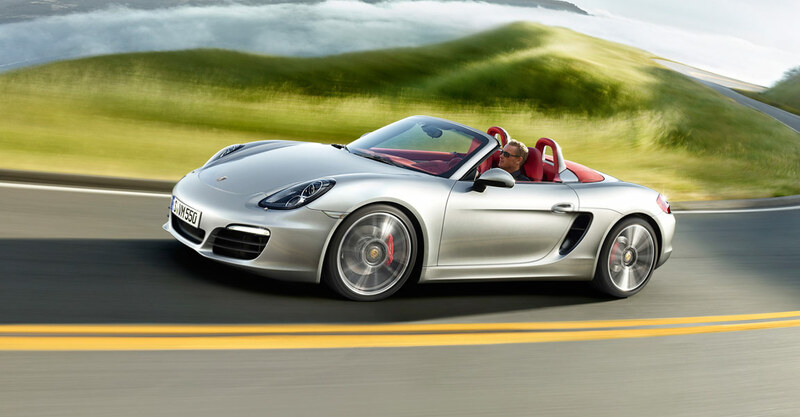 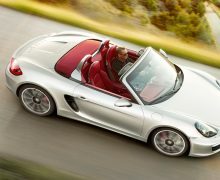 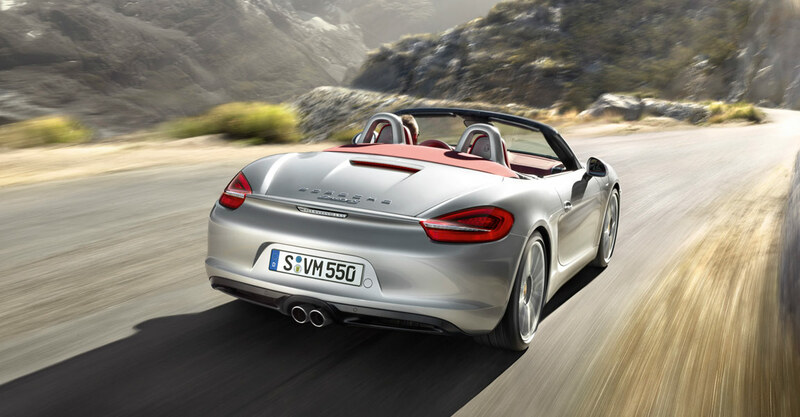 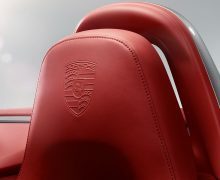 The athletic proportions of the new Boxster models make it possible to introduce a new interior architecture. 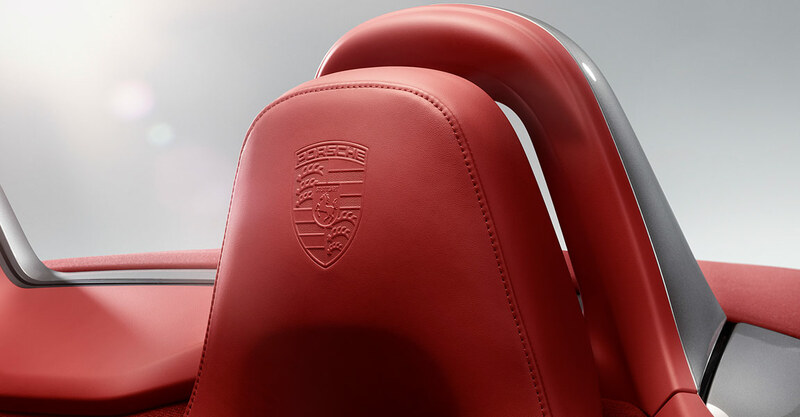 The driver’s seating position is low, and from that vantage point, there is a feeling of space and light without compromising the authentic roadster experience. 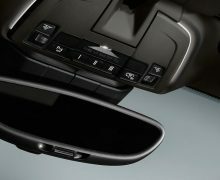 right is now a 4.6-inch TFT screen that shows information from the onboard computer or information from the audio system. 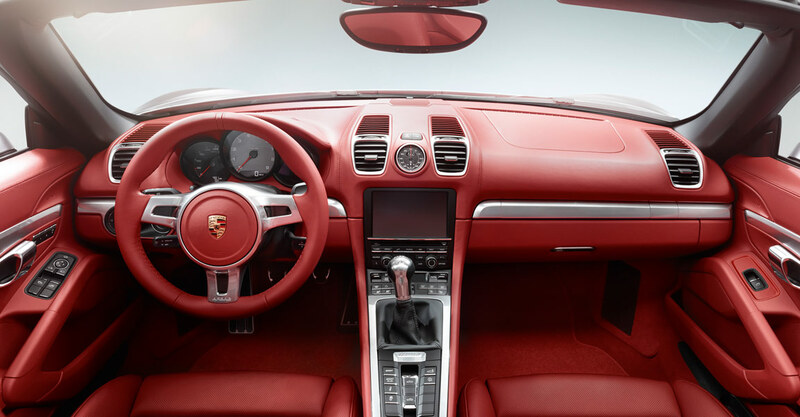 An inconspicuous shroud shades the instruments for optimal visibility.